Someone paid me what I consider a great complement. They said my posts reminded them of the caustic, comedic essays of Andy Rooney, the recently deceased member of the “60 Minutes” tv show. I don’t compare myself, even remotely, with Mr. Rooney. He was a major journalist for almost a century. I am not. His was an exemplary American life lived to the fullest because of who he was. Mine is a pretty good life, lived in a reasonably productive way in spite of where I came from. I was flattered when this person said my posts “tell it like it is” in the Rooney style. Andy was original, funny and true. I believe we are all better for his kind of truth-telling and that’s become more and more important to me, with age, I suppose. There’s precious little of the unvarnished truth in most of our lives. There certainly wasn’t in my early life which is why I’m sensitive to it now. I don’t claim to have an objective handle on the truth but I know bull#%*! when I hear it and after 10 years in real estate my ears are ringin’. “It’s Bad For Ya” was the name of the act. I must have watched that show a dozen times and it still lays me out and resonates with me because of all the bull I hear on a daily basis. I spend a good deal of time wading through it. I’m sure you do, also. I encounter it in the office, in the field, massaging egos, bandaging the boo-boos of hurt feelings (not just my customers’) and sometimes keeping some of my clients from shooting themselves in the foot. I don’t mind. I seem to be pretty good at it. I was even the de facto therapist helping a couple of therapists who were divorcing, in one transaction. When you think of all the sad, angry, ego-driven, emotional situations we, as REALTORS, deal with, it’s quite astounding. Divorces, deaths, attempts at dishonesty, estates, aggressive buyers, family disputes, heirs who can’t agree, stubborn sellers, to name only a few. My second listing was a townhouse where the couple was divorcing. The three of us were signing the listing papers when the wife started to weep. I thought, “well, I can, (A) say ‘would you like to stop for a moment?’ or, (B) just stop and let the situation right itself or, (C) keep forging ahead as if nothing had happened.” I picked C , got the papers signed and got the hell out of there. We generate and accept bull as truth in order to make comforting sense of what has become a very complicated culture made all the more complex by family matters. Mix this with the emotional circumstances of buying and selling a home and you’ve got quite a stew. It’s not only the public. The real estate industry, also, generates manure in incredible poundage, in some cases, to persuade, motivate and otherwise move its customers along. There’s also a cyclone of crap aimed at REALTORS by their management and corporate parents in order to keep them generating those leads. Add to this storm the real estate training industry, the heaving behemoth whose only job is to keep REALTORS motivated. If there was a methane measurement coming out of that industry it would challenge the output of every cow in the world. I’m not posting some mealy-mouthed lament here. I understand the dynamic of where I work and I’m certainly up to the challenge. That doesn’t mean I don’t grow weary of the baloney every so often and that weariness usually shows up here. When I started this blog it was a rather bland recitation of real estate facts: short sales, property taxes, etc. I did get good response from readers who wanted more information. That’s good. After all, it’s why we’re encouraged to blog at all by our managers and trainers, to advertise ourselves as experts and build relationships with our readers (the nasty truth comes out…). Somewhere along the way, however, I seemed to veer in another direction, a much more personal direction which pleases me no end. I was glad to hear that it pleased someone else. I’d like to think that any potential customers who read these posts will appreciate that I will never lie to them and will always (and nicely) tell them “like it is”. 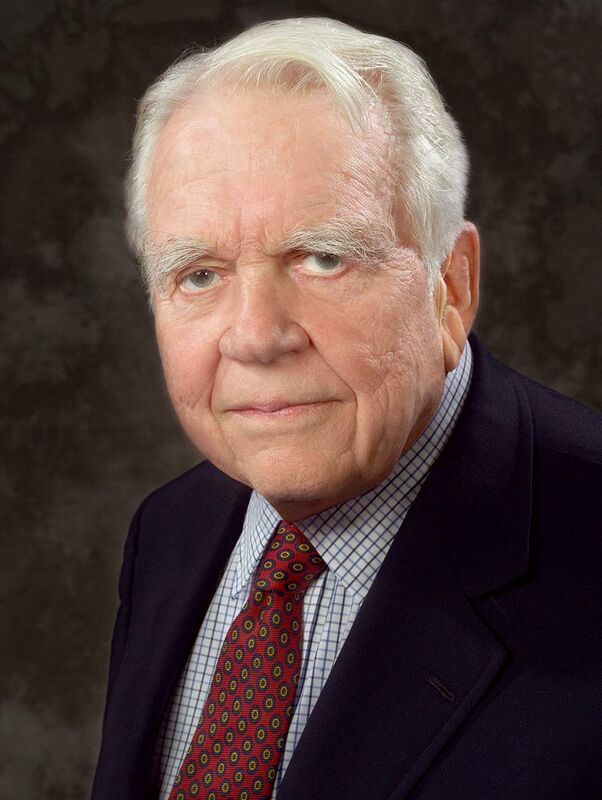 Andy Rooney made the same kind of adjustment, somewhere along the line. He started out as a war correspondent and went on to practice traditional journalism until the “60 Minutes” gig came along. He became wildly popular, even beloved, because of his cranky, funny and truthful skewering of just about everything. I don’t know if he ever took aim at the real estate business but I’d pay good money to hear that one if he did. 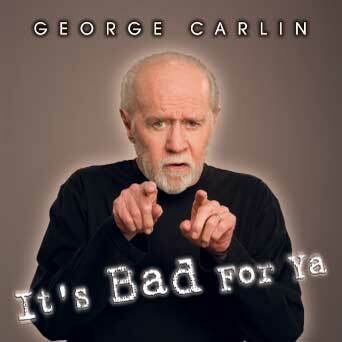 Andy Rooney and George Carlin have passed away and their comedic weapons are no longer available to be lobbed at the stupid, the venal, the corrupt and the banal. A new generation of comics and commentators must take up the task. Alas, in our watered-down, plain vanilla culture I’m not so sure we’re still capable of producing such sharp-edged and brilliant gems of talent. I’m not up to the job. All I can hope to do is salute their memories by providing, here, just a faint echo of Veritas among the avalanche of bull&#!% aimed at all of us.